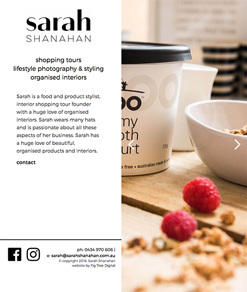 Sarah Shanahan runs a string of businesses from her many passions and talents – lifestyle photography & styling, organised interiors and VIP shopping tours. The eCommerce section of the website doesn’t use any hard-sell marketing tactics, instead the approach is more subtle and genuine – aligning with her brand. 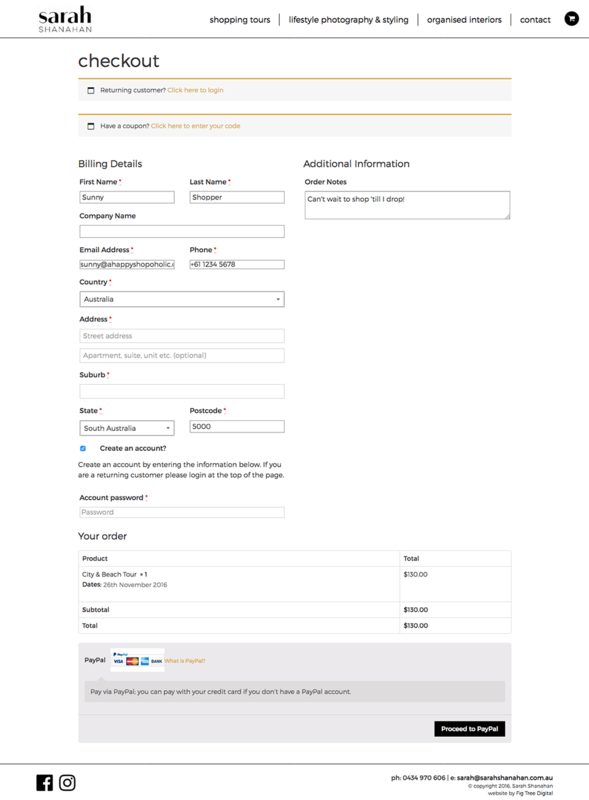 Tour photography, compelling conversational copywriting, user reviews, and a countdown displaying remaining tour ticket numbers all assist in letting the viewer convince themselves that the VIP Shopping Tours are something that they just have to purchase! 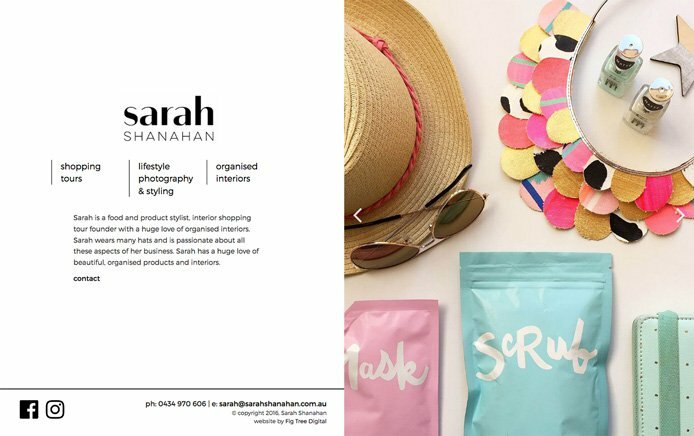 Sarah’s three businesses were growing steadily by word of mouth, though her rise in popularity on Instagram as a much loved ’style-guru’ was gaining momentum rapidly. Sarah’s web presence needed to reflect her highly sought-after photographic styling which is, as she puts it, “a touch of Scandinavian with a modern, minimalist Australian vibe”. With so much beautiful visual content being generated through her daily Instagram postings, our strategy was to capture this content and present it in the website as stylised image feeds, keeping the website content fresh and up-to date. The real-time live social image feed reinforces Sarah’s credibility and authority, showcasing the sheer volume of her creative work an drinking viewers back to her popular Instagram account. 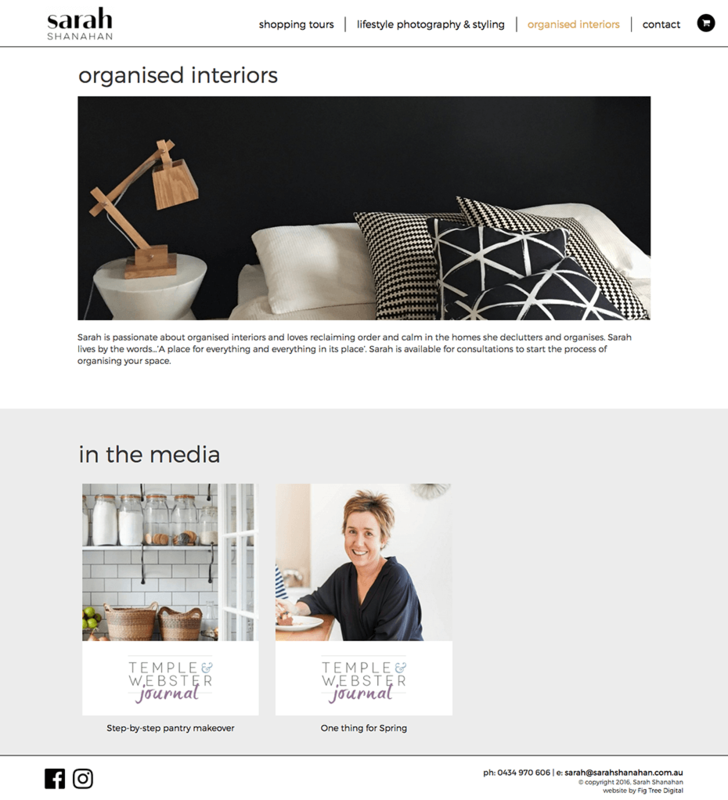 The strategy of using filtered live image-feeds for a large portion of the website content takes a long-term approach, enabling Sarah to keep her website updated automatically without having to handle any content updates manually. 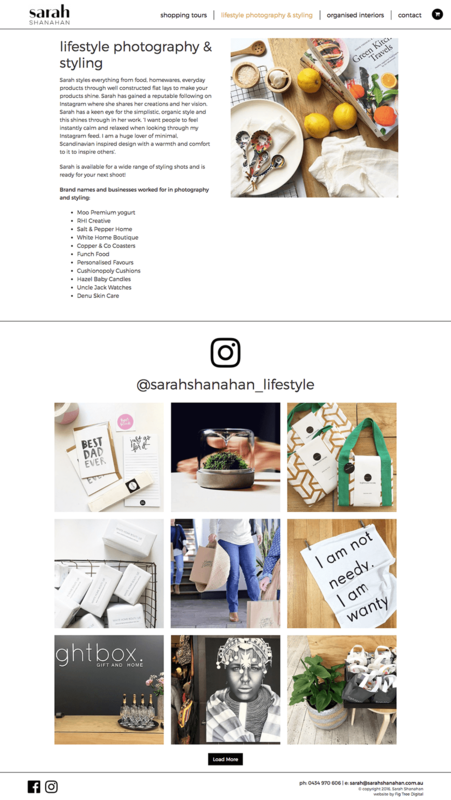 The eCommerce section of the website doesn’t use any hard-sell marketing tactics, instead the approach is more subtle and genuine – much like Sarah herself. 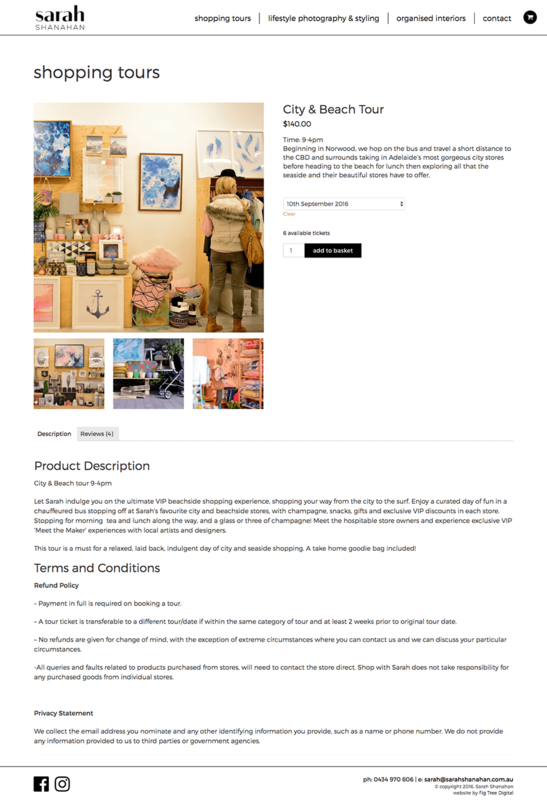 Tour photography, compelling conversational copywriting, user reviews, and a countdown displaying remaining tour ticket numbers all assist in letting the viewer convince themselves that the VIP Shopping Tours are something that they just have to purchase! A well designed responsive website with development brings an eCommerce store that captures beautifully styled photography and visuals. “The quality of my new website has exceeded expectations and the results have spoken for themselves with my business increasing almost immediately.